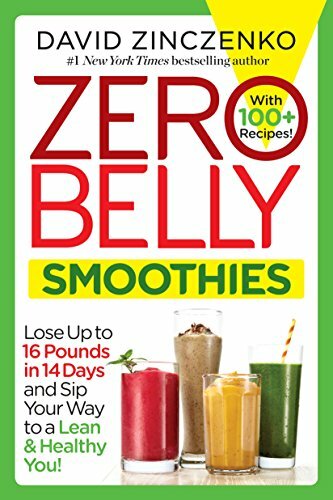 9780399178443, titled "Zero Belly Smoothies: Lose Up to 16 Pounds in 14 Days and Sip Your Way to a Lean and Healthy You!" 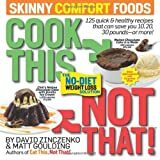 | Ballantine Books, June 28, 2016, cover price $15.95 | About this edition: NEW YORK TIMES BESTSELLER • Lose up to 16 Pounds in 14 Days with Zero Belly Smoothies! 9780425284711, titled "Eat This, Not That! When You're Expecting: The Doctor-recommended Plan for Baby and You! 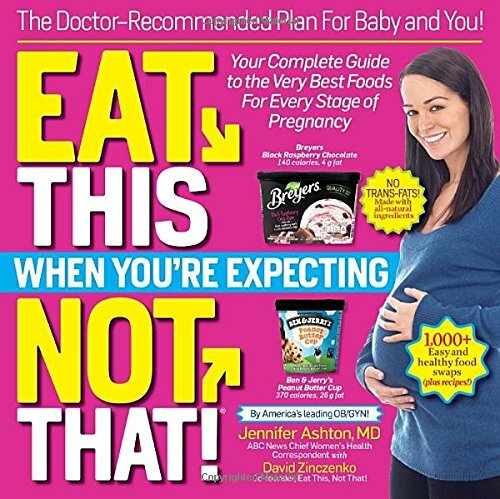 Your Complete Guide to the Very Best Foods for Every Stage of Pregnancy" | 1 edition (Galvanized Brands, May 17, 2016), cover price $21.95 | About this edition: The authoritative, must-have healthy-eating guide for pregnant women, from Americaâs most trusted OB/GYN and the mega-selling authors of Eat This, Not That! 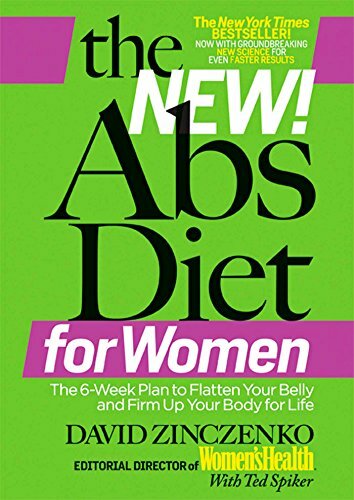 9780989594042, titled "The Bikini Body Diet: The Immediate and Lasting Plan to a Slim, Shapely, Sexier You!" 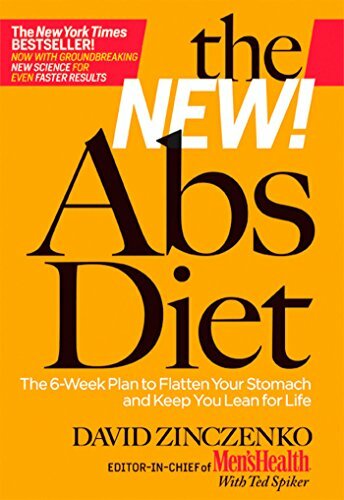 | 1 edition (Random House Inc, April 8, 2014), cover price $24.99 | About this edition: From Shape magazine, the most trusted source of fitness, exercise, and weight-loss information for women, comes a simple 6-week diet and workout plan that will transform your body and your life. 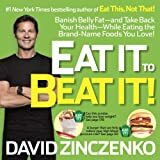 Eat It to Beat It! : Banish Belly Fat - and Take Back Your Health - While Eating the Brand-Name Foods You Love! 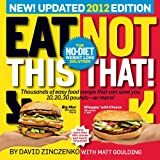 9780345547934 | 1 edition (Ballantine Books, December 31, 2013), cover price $22.00 | About this edition: NEW YORK TIMES BESTSELLEREat the Worldâs Most Delicious Foodsâand Start Dropping Pounds Today! 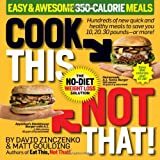 9780804193092 | Random House, December 31, 2013, cover price $20.00 | About this edition: NEW YORK TIMES BESTSELLEREat the World’s Most Delicious Foods—and Start Dropping Pounds Today! 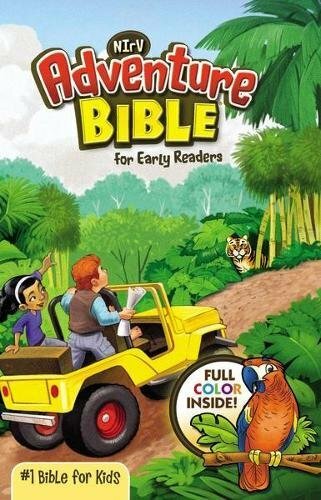 9780606352178 | Reprint edition (Turtleback Books, December 31, 2013), cover price $35.50 | About this edition: FOR USE IN SCHOOLS AND LIBRARIES ONLY. Cook This, Not That! 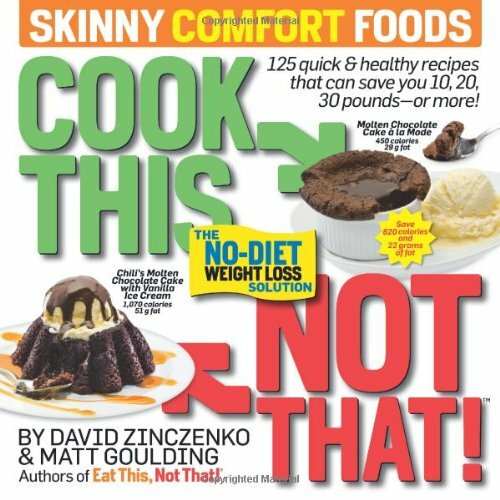 Skinny Comfort Foods: 125 Quick & Healthy Meals That Can Save You 10, 20, 30 Pounds or More! 9781609618735 | Reprint edition (Rodale Pr, December 11, 2012), cover price $19.99 | About this edition: The best-selling weight-loss series that ranks readers' favorite restaurant fare now empowers readers to lose weight with recipes for satisfying meals made at home. 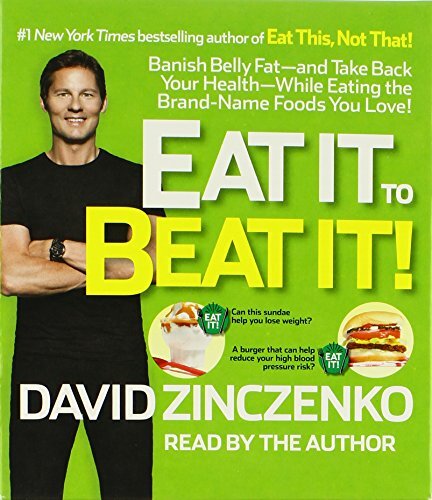 9781609618247 | 1 upd exp edition (Rodale Pr, September 18, 2012), cover price $19.99 | About this edition: With an angry food industry hot on their heels and a ravenous fan base clamoring for more, Zinczenkoand Goulding once again redefine the American food landscape. 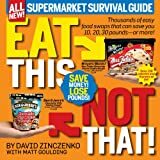 9781609612412 | Exp upd edition (Rodale Pr, December 20, 2011), cover price $19.99 | About this edition: With more than 50,000 food products in the average supermarket, it's no wonder shoppers feel confused and overwhelmed. 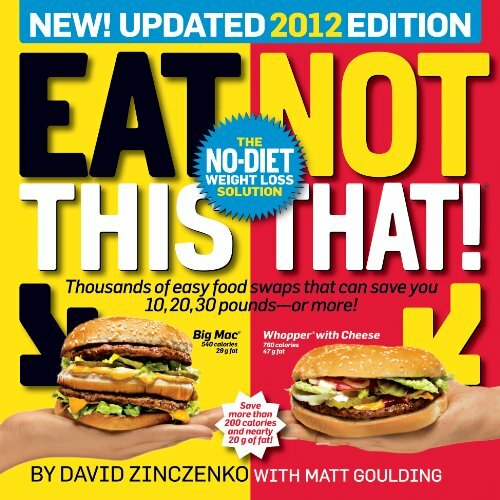 9781609610654 | 1 upd exp edition (Rodale Pr, September 13, 2011), cover price $19.99 | About this edition: With an angry food industry hot on their heels and a ravenous fan base clamoring for more, Zinczenkoand Goulding once again redefine the American food landscape. Eat This, Not That! When You're Expecting: Better Nutrition for Mom and Baby! 9781605291345, titled "Eat This, Not That! 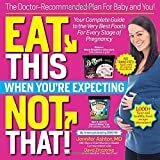 When You're Expecting: Better Nutrition for Mom and Baby!" 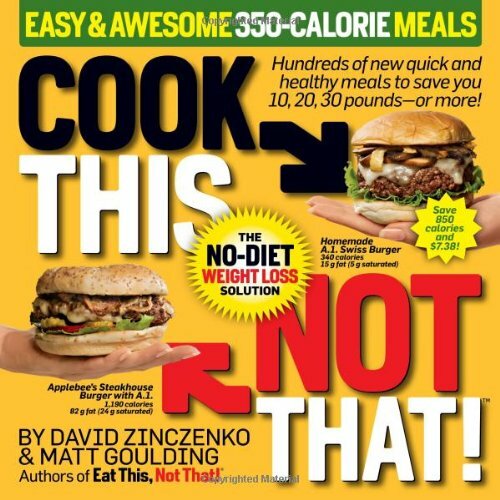 | Rodale Pr, November 30, 2013, cover price $19.99 | also contains Eat This, Not That! When You're Expecting: Better Nutrition for Mom and Baby! The Eat This, Not That! 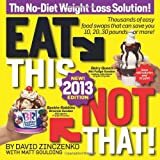 No-Diet Diet: The Worlds Easiest Weight-loss Plan! 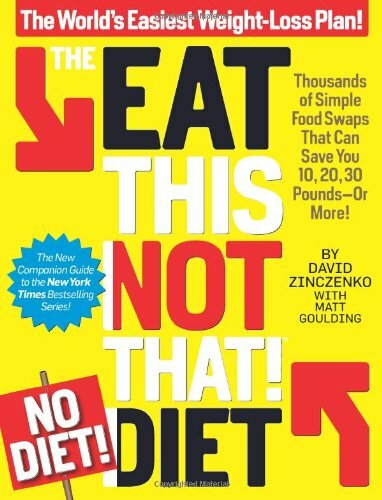 9781609612498, titled "The Eat This, Not That! No-Diet! Diet: The World's Easiest Weight-Loss Plan!" 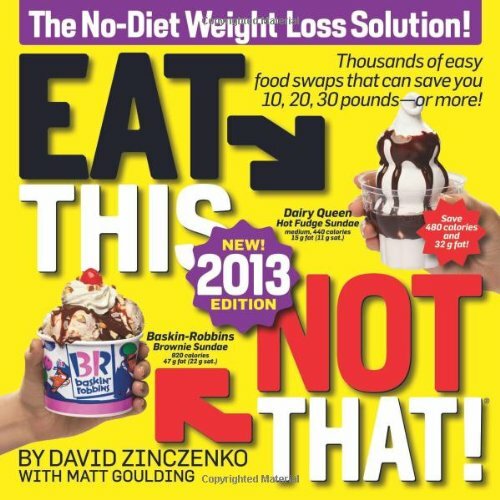 | 1 edition (Rodale Pr, March 1, 2011), cover price $21.99 | About this edition: Imagine a diet plan that lets you eat at Burger King, McDonald's, Dunkin' Donuts and Olive Garden--and still strip away 10, 20, even 30 pounds or more! The New! 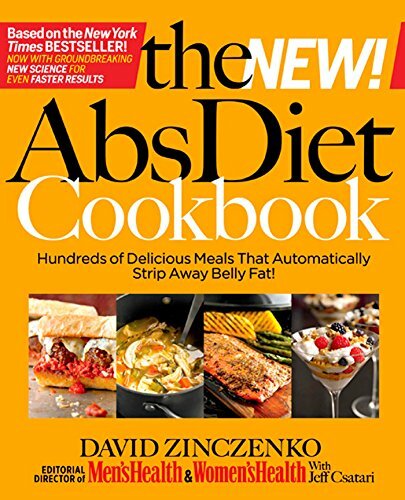 ABS Diet Cookbook: Hundreds of Delicious Meals that Automatically Strip Away Belly Fat! 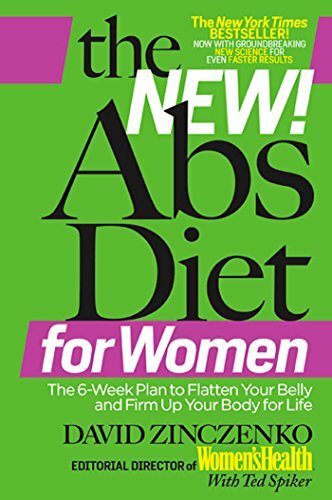 9781605293141 | 1 edition (Rodale Pr, December 21, 2010), cover price $27.99 | About this edition: A delicious follow-up to the groundbreaking The Abs Diet, this cookbook delivers more than 200 healthy, mouthwatering breakfasts, lunches, dinners, snacks, desserts, and outdoor grill favorites. 9781605291475 | Rodale Pr, October 12, 2010, cover price $19.99 | About this edition: Tired of always being too hungry (and tired! 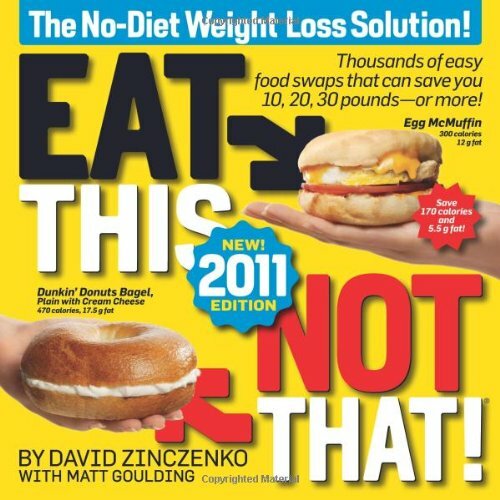 9781605293134 | Upd exp edition (Rodale Pr, October 12, 2010), cover price $19.99 | also contains Eat This, Not That! 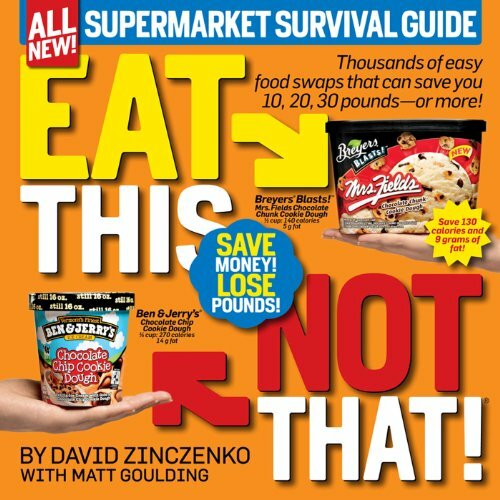 2011: Thousands of Easy Food Swaps That Can Save You 10, 20, 30 Pounds--or More! | About this edition: That brand-new physique youâve been waiting for, the leaner, fitter, healthier body you thought youâd never had.